Okilly Dokilly is the first ever Ned Flanders themed metal band! 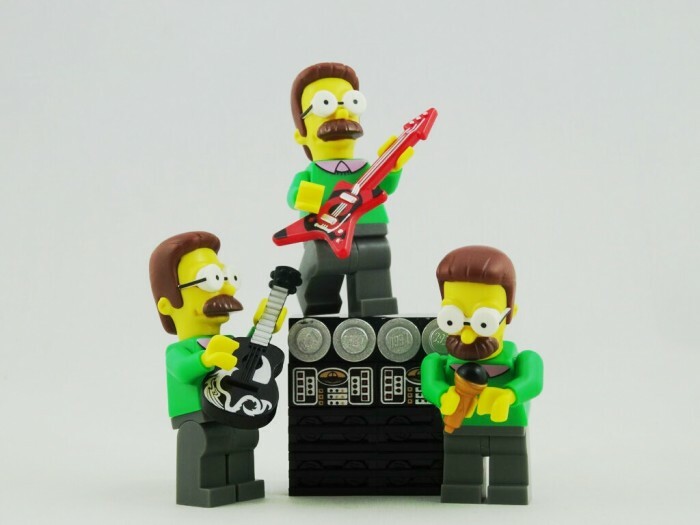 Arizona heavy metal band Okilly Dokilly call themselves ‘the world’s only Nedal band’, basing their image and lyrics on the Simpsons character Ned Flanders. It’s reported that lead singer and drummer, Head Ned and Bled Ned respectively, came up with the name while waiting in line at the supermarket, where they later contacted friends Red Ned, Thread Ned and Stead Ned to release a 4-song demo on Bandcamp. Okilly Dokilly dress according to the Gospel of Ned, with ironed pants (slacks), green jumpers (pullovers) and pink shirts, with a matching moustache – of course. According to their Facebook page, most of Okilly Dokilly’s lyrics are Ned quotes. Head Ned says the band’s goals are modest, and that this is just an over-the-top attempt to get Matt Groening’s signature – even if it is in the form of a cease and desist letter! Okilly Dokilly play their first show in September.